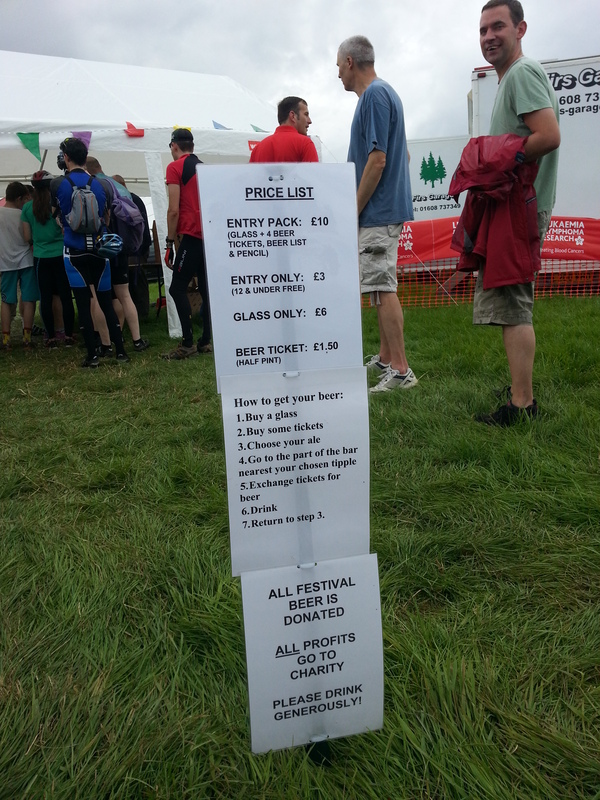 Last Saturday saw the family and I take a trip out to Chadlington in Oxfordshire for a visit to their 10th annual beer festival. The festival was held in and around the environs of the village memorial hall on what turned out to be one of those perfect English summer’s days. There was more than enough in the way of diversions to keep everyone entertained: a cricket match was in progress on the field to the left; around the hall, food stalls were serving up pretty decent burgers, pork rolls, etc. Some small fairground rides were taking kids for a spin (with the obligatory bouncy castle) whilst the Charlbury Morris hey-nonnied the afternoon away. As mentioned before this wasn’t a gigantic festival, there being only 20 or so beers on offer…but those beers were obviously carefully selected, and there were representatives of quite a few styles – including a Belgian Dubbel, which I was surpised to see. 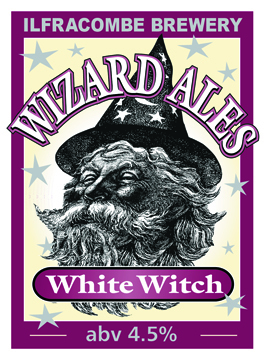 First beer for me was White Witch from the Wizard Brewery – Described on the Wizard website as “A pale fruity ale with a strong hoppy finish” and also “Chadlington Beer Festival Winner 2005” to boot. It was certainly a decent drop but not nearly as distinctively hoppy or fruity as I would have liked. I think beers these days need to stand out from the crowd, otherwise they just get drunk and forgotten – a bit like George Best before he popped his footballing clogs. 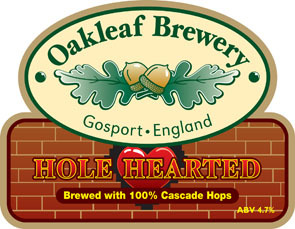 Second up was The Oak Leaf Brewery’s Hole Hearted, which the website tells me “The use of Cascade hops gives this golden ale powerful floral and tropical fruit flavours, and a delicate bitterness.” All I can say is that they know their beer well: it does have a delicate bitterness, a bitterness that persists long enough to persuade you to sup again and again. The cascade hopping is evident and is more subtle than I usually like my cascade-hopped beers to be, but it’s a very, very, drinkable drop. I recommend this beer, order a pint if you see it. 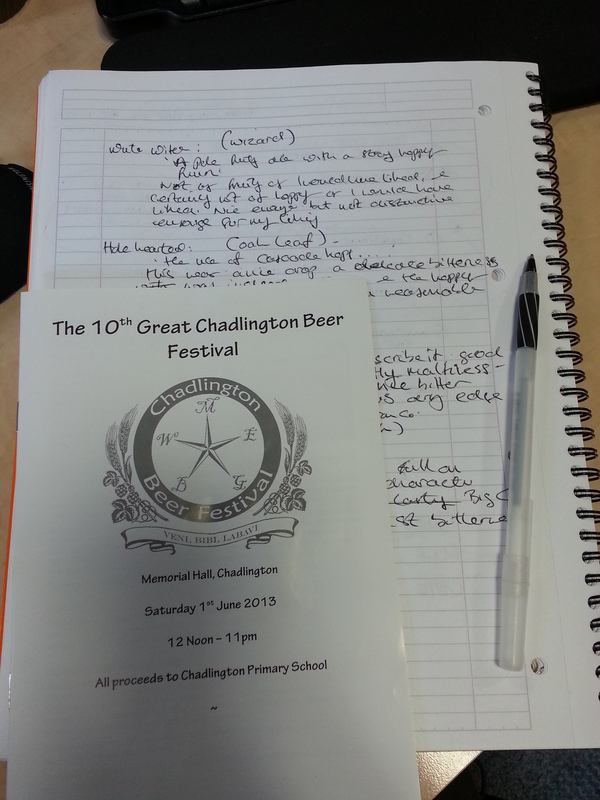 Thirdly I tried Tring Brewery’s Colley’s Dog, described as “Dark ruby in colour but not over rich. Strong yet very drinkable, this premium ale has a long dry finish with overtones of malt and walnuts.” When supped it did bring forth a lovely nutty maltiness, with a healthy alcoholic warmth, followed by a fruitcake sort of dryness – a bit like Dundee cake. I liked it a lot. A smashing “brown” beer. 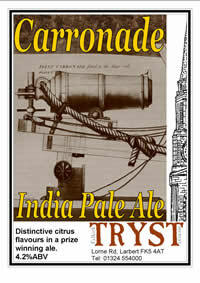 My last beer was Tryst’s Carronade IPA: “Packed full of citrus flavours from the distinctive Washington state hops used, combined with pale malt and Carron valley water to create a real thirst- quenching treat.” Now, those of you who read this blog regularly know that I like an IPA -preferably a glass full of mental, in your face, hoppiness- and I was expecting Carronade to be a fairly standard run-of-mill English IPA…but how wrong could I be; it turned out to be a lovely, lightly malty, cask ale in the English style but absolutely cram-stuffed with those US hop flavours that I really dig. Easily the best beer out of the four I tried that afternoon. I cannot recommend this beer highly enough. 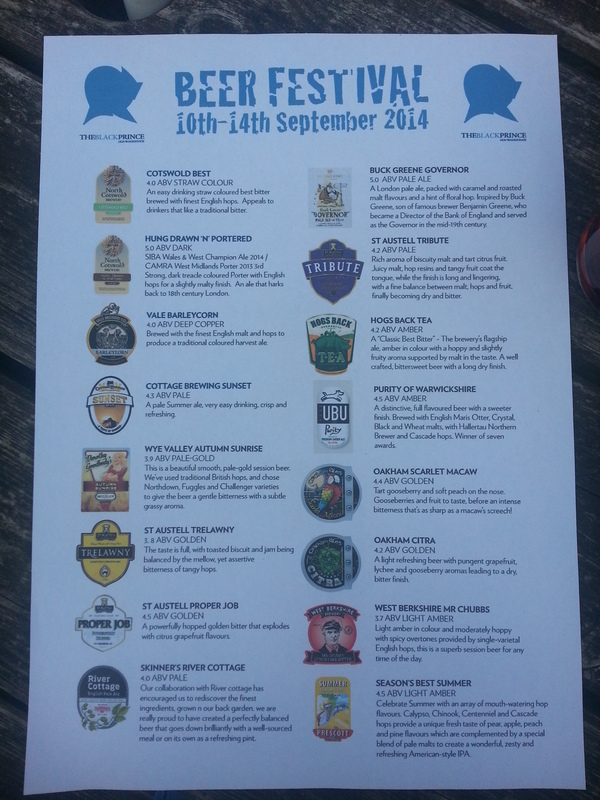 In early June next year keep and eye out for the beer festival at Chadlington. It’s one of the best I’ve been to as it is easily the most relaxed and well organized.